C code to implement hash using array. Hash can store only integer value. 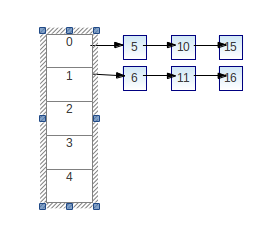 One slot can store only one value. Hash function is mod ( value % slots) .